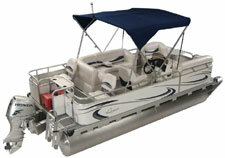 SMALL PONTOON BOATS OHIO PONTOONS FOR SALE ! Overall Width: 7'7" 7'7" 7'7"
Dry Weight: 1125 lbs 1275 lbs. 1425 lbs.